1977 seems a long time ago. I was twenty-one, a research assistant at the National Academy of Sciences. My job included attending hearings of the United States Senate Energy and Natural Resources Committee on the impact of offshore drilling. The hearing room in the Senate office building was beautiful but overwhelming. I sat in the gallery with my pad and pencil, taking notes as Senator Lowell Weicker, from my home state of Connecticut, questioned witnesses. Senator J. Bennett Johnson of Louisiana was on the same committee, and his questions were quite different. This was a battle--they couldn't have been on more opposite sides of the issue. I felt proud that Senator Weicker so clearly wanted to protect the shoreline. Decisions would be made to determine whether oil leases would be sold to allow oil development on the Outer Continental Shelf of the Eastern Seaboard of the United States. At the end of each day I returned to the Academy building, wrote up my notes, gave them to Dr. Rick Burroughs, the project's staff officer. My job included reporting on studies about oil exploration and impact in the Shetland and Orkney Islands; the disaster at Union Oil’s Platform A five and a half miles south of Santa Barbara; the Torrey Canyon tanker stranding on Seven Stones Reef off Lands End, and the devastating effect of oil spills on offshore, near-shore, and onshore environments. I read about the composition of crude oil, relative toxicity of its parts, the carcinogenic activity of hydrocarbons, the fact that petroleum contains acutely poisonous compounds. 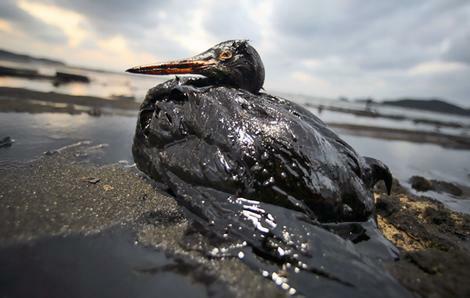 Exhibits presented at the Senate hearings included photos of oil spills: oil-tar lumps along tide lines, oil-coated shore birds struggling, dead lobsters, dead cod, tidal creeks glistening with gas rainbows, bilge leakage from oil rigs. There were photos of funnels, booms, and skimmers trying to contain spills, hugging quantities of sticky, slimy oil against the spartina of marsh banks. It wasn't just a job to me. I had grown up loving the beach and all the coastal wildlife. Working as a research assistant on the NRC study felt like a great privilege. More than anything I wanted our marine environment to be protected. The scientists working on the study were Chairman Philip L. Johnson of the Oak Ridge Associated Universities; James H. Carpenter of University of Miami; Chuck Drake of Dartmouth College; Robert A. Frosch of Woods Hole Oceanographic Institution; Claude R. Hocott of University of Texas; Ralph W. Johnson of the University of Washington; Don E. Kash of the University of Oklahoma; James J. O’Brien of Florida State University; and Lawrence R. Pomeroy of the University of Georgia. A ban on offshore drilling was imposed, protecting our coastlines and marine environments. That ban has been renewed every year for the past twenty-six years until now; this year our legislators have given in and will lift it, a devastating development to those of us who love the oceans and shorelines. Oil companies and the builders of drilling rigs will make money. Shorebirds, marine mammals, bluefish, crabs, and people will be at risk. Small towns and ways of life will change. If drilling takes place off your beach, your marsh, your favorite dusty beach road will turn into a four lane highway before you know it. Can you say you're not affected by photos from the Exxon Valdez spill, the Deepwater Horizon explosion, the stories that have come out about death to animals and habitats? I can't. The prospect of drilling seemed unthinkable in 1977. It's even more so now. “Oil Pollution of the Ocean,” Max Blumer, Contribution Number 2336 of the Woods Hole Oceanographic Institution.